A couple of months ago, Color launched with millions in funding but almost zero in positive feedback. Since then, updates have been pushed making the app friendlier and even neater, a cofounder has left and I'll admit that I have abandoned it. It was a fun and great way to see random pictures of those around you but only if there was someone using the app which in my case was rare. Alas, it's draw faded quickly and it has since been filed away in a folder on my second screen. Today, gnonstop gnome populated the iOS and Android Market introducing yet another creative way of capturing photos and "socializing" them. You start off with either a free gnome or for $0.99, customize his hat, eyesbrows, eyes, nose, beard, clothes then name your gnome. You share the journey and create a timeline titling as well as geo-tagging each picture. The adventure really begins when you use your phone's camera lens and "lyft" a gnome from a friend or even that new guy/gal you met at the hotel bar. Maybe a little weird at first but pretty cool right? Anyone that has "lyfted" the gnome can follow it's photo adventures across a map. It's definitely an exciting start. Will it succeed where Color failed? Only time and users will tell but who would have thought that taking pictures (of what does seem to resemble the travelocity gnome) at random places with a little person was exciting? Here's my first pic, yes it's boring, but it is a customized gnome! Catch a demo of the app in the video below when it was presented by Churn Labs' Omar Hamoui at Disurpt NYC. You can also check out the latest blog post on here. Gnonstop Gnomes is available for download today in both the iPhone app store and Android app market. After creating a gnome, you can transfer it to a friend, and then follow its adventures across a map as it moves from phone to phone. People who receive your gnome can make travel entries, including photos, which you will also be able to browse through as your gnome makes its journey. The application is free on both iPhone and Android. Adelle and I decided to run the 100th Anniversary of San Francisco's Famous Bay to Breakers 12K 2 weeks ago and here's the report: (sorry it took so long and for that reason this post is extra long) New sponsorship, followed with a new ban of no alcohol on course or ridiculous drunkards running around, Zazzle and the city of San Francisco set out to reduce the mess and ridiculous amount of waste caused by this fanatical race. 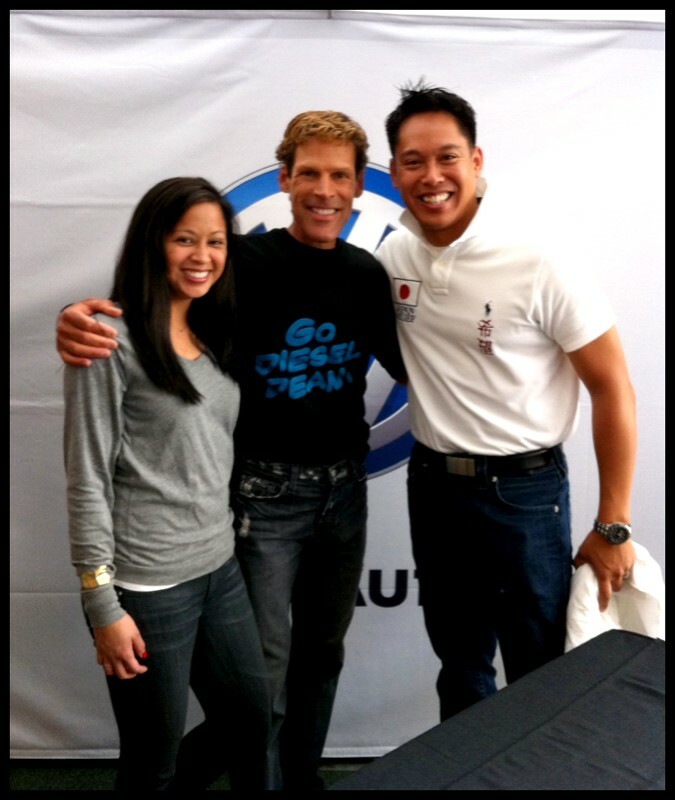 Zazzle held a two day expo where Saturday would feature a guest appearance by non other than Mr. Ultramarathoner Dean Karnazes. We, and by we, I meant me, had to get a photo taken with him. Adelle and our friend Joyce waited patiently in line while I grabbed our race bibs, chips and stuff, then Joyce took this great shot! The expo itself was setup well, a little chaotic for my taste, but if you wanted to get in and out, it was definitely easy. 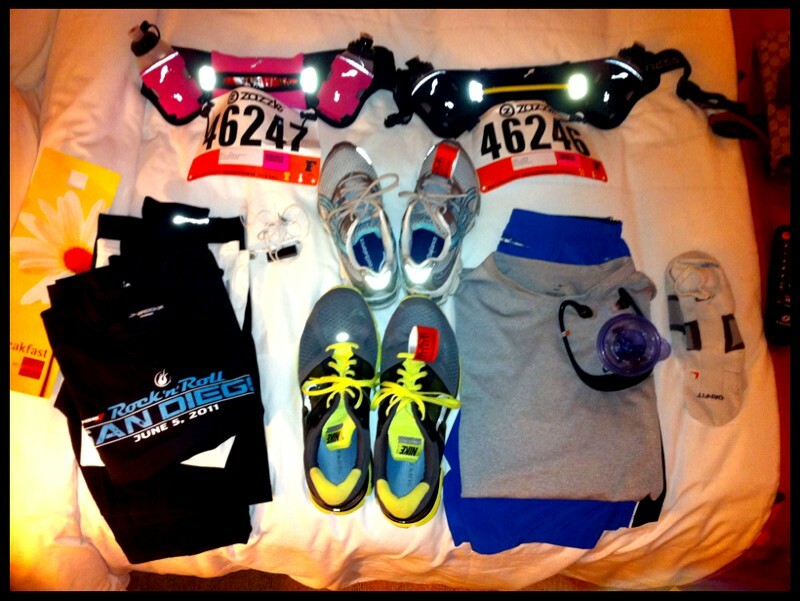 We bought some new running belts and Adelle even bought some new Nike Free Livestrong Editions for a great price! Adelle will review at a later time, hopefully, but until then, that's the two cents. Overall, Zazzle did a great job for the first time hosting such a large and legendary event. Following up with a great lunch and carb-load dinner, we ended the night early in preparation for the 12K. Adelle and I actually thought of running this race for reals for little did we know that there would be a lot of walking on the course slowing our pace. I mean, it's not like we are professional runners or ones that have a set time in mind but we wanted to give it our best. We're "organized" type folk so this is our bed the night before. 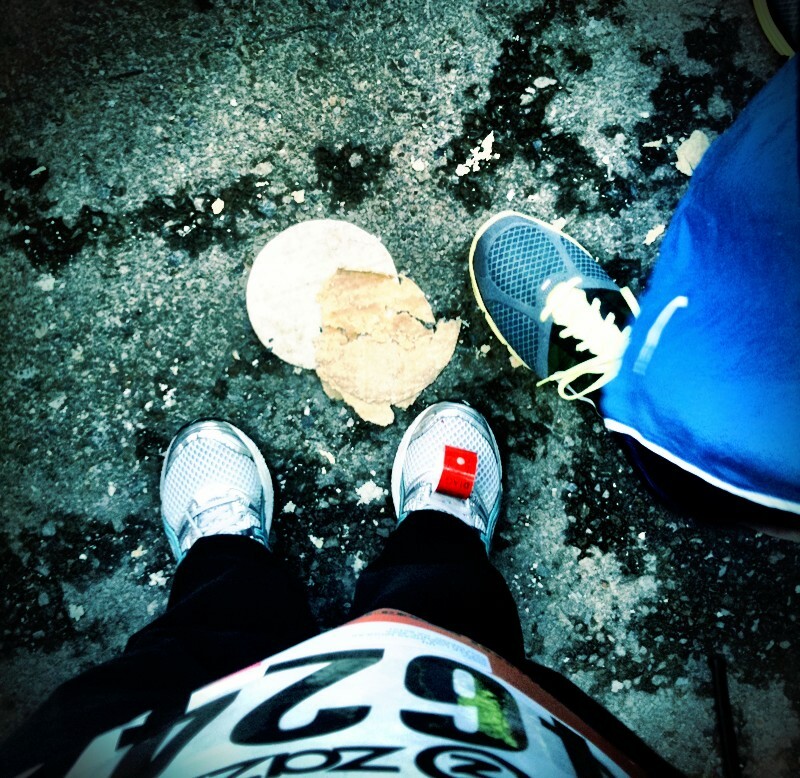 Getting to the start line was literally a breeze; cold and forecasted to rain. So Adelle and I hurried up a little bit to warm up and got into our coral with time to spare. It was madness with tortillas flying around, naked men and women (mostly men) amazing costumes and fun. When do you ever see people excited to run 12K that early in the morning!? Along the race, we ran, we walked, we spectated, smelt some medicinal drugs being shared amongst citizens and were just in awe at the awesomeness that this race still was minus the keg running athletes. There was alcohol sporadically throughout the race, policemen trying their best to take the bottle away, but the porta potties along the course were far and few between. Water stations were present but more not operated that well. All in all, a good race with a mediocre pace. 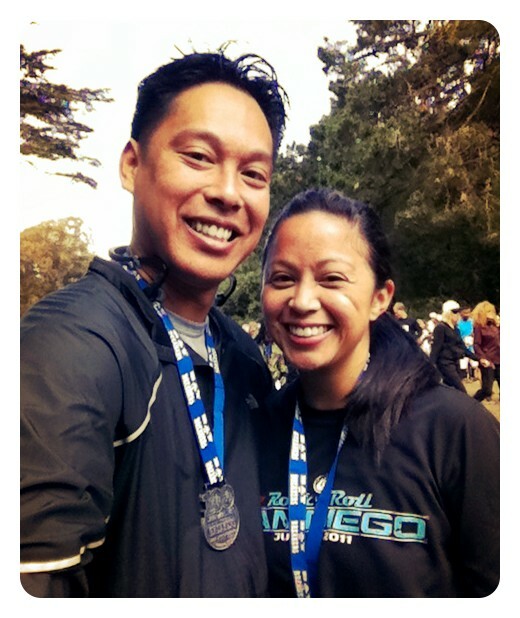 Adelle and I haven't ran a race since the 2007 St. Patrick's Day 10K in San Diego so this was a fun one keep pace together. All the way through the end, we finished strong by the beach and got our cool finisher medals. It was the first time too that Bay to Breakers was handing 'em out, so yes, we feel special. There was even some small time groups selling food at the finish line so we of course indulged. Hand outs were a plenty and the post race party was a blast. We couldn't really stay long because we had to checkout of our hotel by noon so that was that. Although, along the way back to the car that Marella was so nice to pick us up in, we saw a filipino dood sporting a Manny Pacquiao outfit and that was definitely one of the best we all seen. Good job Mr. Impersonator! Sorry no pic because all of us were just too shy. Here are screen caps of the waaay too expensive race photos. How come all these race pic companies charge so much anyways? I'm not sure if you noticed or not, but we have officially switched to using tap tap tap's amazing "ultimate photo app" for the iPhone called Camera+. You should definitely check it out. If anything, you can check out adellelijah's stream via campl.us:adellelijah. Instagram is also fun, but there's a bug for iOS 4.1 users that wasn't fixed so I stopped using it. Plus, Camera+ is packed with A LOT more features for those amateur photographers in us. Download it now...we're suporters! Apple's Mac OS App Store Opening January 6th! Opening up on the 6th of January (which, surprisingly is a Thursday) is Apple's new portal for downloading the latest and greatest desktop applications. Come one, come all, come develop for $99/yr and have Apple take away 30% of your revenue. The bigger questions lay ahead in that will current developers actually want to take part in the store or continue the traditional means of sales? I'm not necessarily focusing on the big box software makers that sell at brick and mortar shops but the way independents have thrived. The truth is, I've always just downloaded software right off of the web when installing a Mac OS X application. This accounts for just about 90% of my current applications that I run on my MacBook Pro as well as Adelle's MacBook Air. Granted a lot of the free apps will now reside and get a "store" front hence free marketing, but those that will cost? Why give Apple 30%?! Please post your opinions below. This "store" will be able to be downloaded for Mac OS X Snow Leopard users only through a free software update. Just be at peace that it was able to evade the huge monster that iTunes now is. Hopefully this is a way for iTunes and the iOS App Store to begin their divorce. Forget about converting your video files into an iTunes friendly format! Import all your DivX files and Xvid as well as other formats via iTunes' built in file manager then play them using Applidium's new VLC for iPad app. Check out the preview below or download it available now on the iTunes store via VLC Media Player.